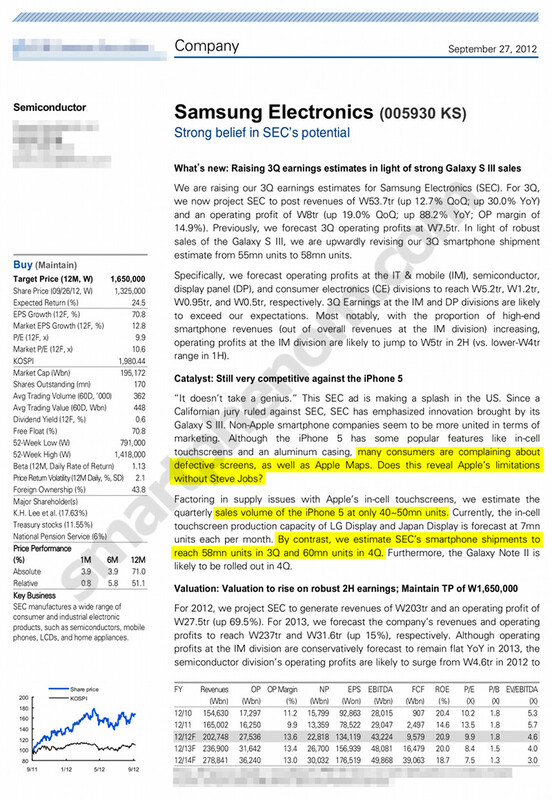 An investor report lowers sales of iPhone 5 smartphone blaming supply issues for the Apple's in-cell touchscreens, but also because of many consumers complaining about defective screens (also hinting at Apple being handicapped without Steve Jobs). In contrast, the very same report forecasts strong sales of the Samsung Galaxy S III (and forthcoming Note II) up to 50% over its archrival (it doesn't talk about margins though). "It doesn't take a genius." This SEC ad is making a splash in the US. 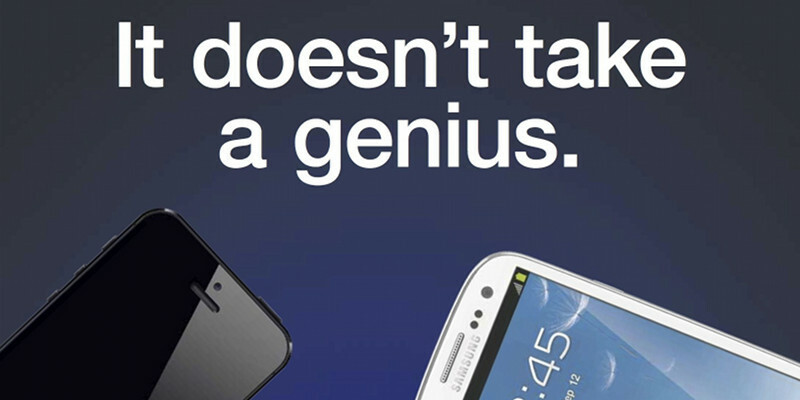 Since a Californian jury ruled against SEC, SEC has emphasized innovation brought by its Galaxy S III. Non-Apple smartphone companies seem to be more united in terms of marketing. Although the iPhone 5 has some popular features like in-cell touchscreens and an aluminum casing, many consumers are complaining about defective screens, as well as Apple Maps. Does this reveal Apple's limitations without Steve Jobs? Is Apple losing ground against SEC? Who's playing the catch up game now? Please have your say in the comments section below.